Enjoy the Vee Bar in the fall, winter, and spring and enjoy all the activities we have to offer! This package is designed to mimic our all-inclusive summer ranch vacation packages and utilize the Vee Bar and surrounding areas based on seasonally available activities! We have now added trapshooting, optional camping, archery lessons, and more. 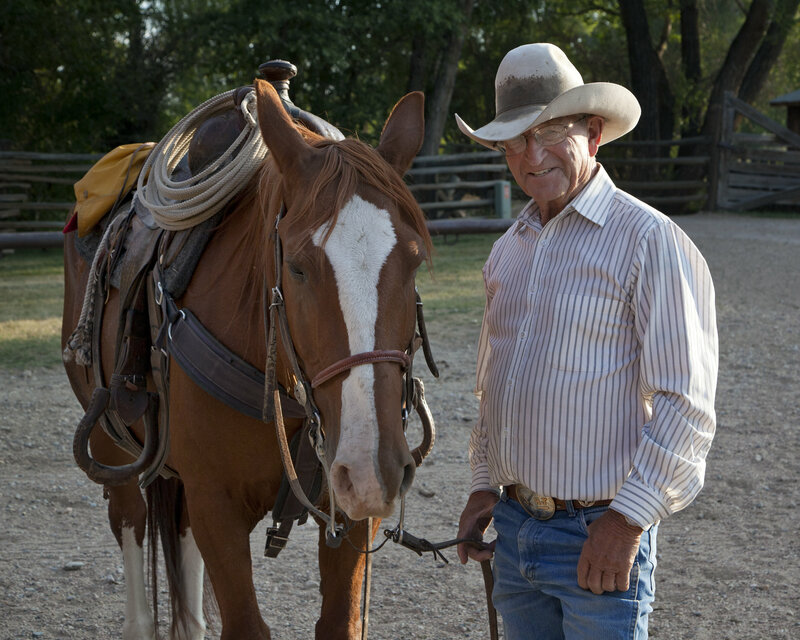 The Ranch Escape Vacation Package allows guests to enjoy a wide variety of activities and have all meals at the ranch! 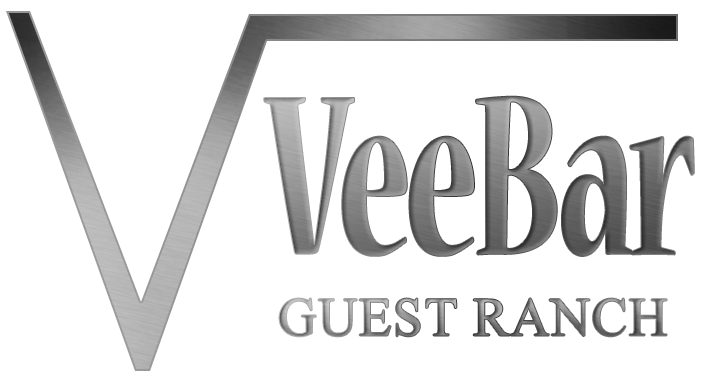 The Vee Bar staff will make sure that you get the most out of your vacation while exploring the Vee Bar, the Snowy Range Mountains, and local attractions. Guests will need their own transportation to and from the ranch. A three-night minimum stay is required to purchase this package. This package is available September through May. 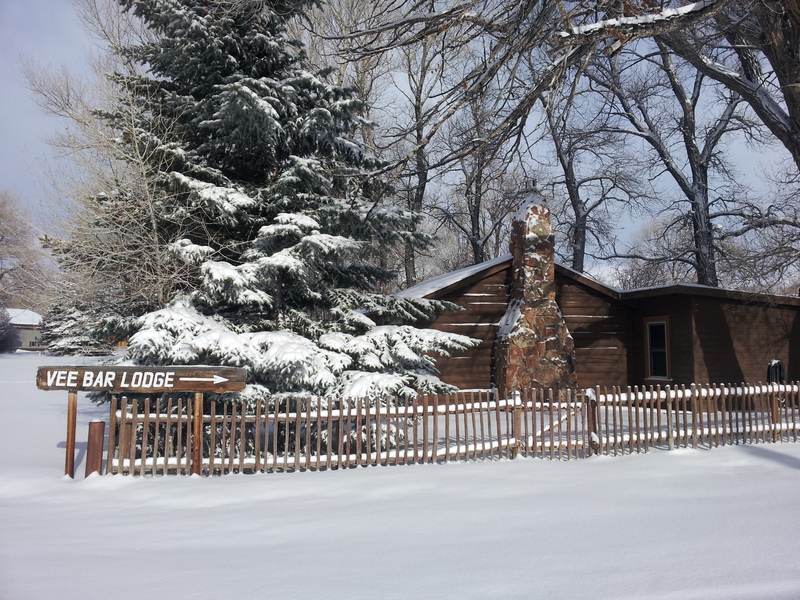 See our Ranch Escape Package Sample Schedule for activity and meal details. 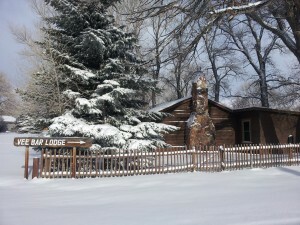 Lodging, meals, horseback riding, guided hiking/snowshoeing, a horse-drawn wagon ride, evening entertainment on select nights, campfire with s’mores, free keg beer and soda pop, fishing (guided fishing excluded), overnight camping in a covered wagon (optional; camping equipment provided), trapshooting, snowshoe rentals (when appropriate) and more! $345 per adult (13 and older), per night. $299 per child (ages 6-12), per night. $100 for children ages 2-5, per night. Snowmobiling (we will assist you in making reservations—there is not snowmobiling offered from the ranch and those services are contracted through another company.) Estimated cost is $540 per person for a full day guided trip, or $370 per person for half day. Drivers must be 16 or older. Check in is any time after 3 p.m. on the day of your arrival. Check out time is before 10:00 on the day of your departure. Activities are subject to change depending on seasonal conditions. There are no refunds for activities that must be canceled, or for which there is no availability. Availability is on a first-come, first-serve basis. Cancellation Policy: 30-day cancellation. The deposit will be refunded, less $100 per person, if the reservation is canceled more than 30 days in advance. If the reservation is canceled less than 30 days in advance the deposit is nonrefundable. This includes reasons related to weather. The final balance will be collected upon departure from the ranch, but guests are obligated to pay the full balance, even if they must leave early for any reason, including unexpected emergencies. See our Ranch Escape Package Sample Schedule for activity and meal details, and additional reservation policies.